Portable terminals are similar to personal digital assistants (PDA). The difference is that mobile terminals are much more resistant than PDAs. 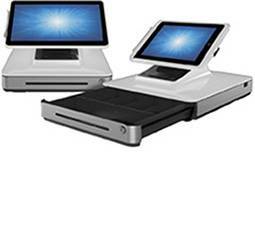 Within our website, you will find a selection of terminals with scanners built into the device itself. Although our terminals are organized in one group, there are multiple configurations and options to choose from. The information provided below will help you in your selection process. In terms of batch collection, data is collected by the terminal and stored in its memory. Batch data collection requires the operator to connect the terminal, via a cradle that is connected to the PC, in order to transfer the information into a database. 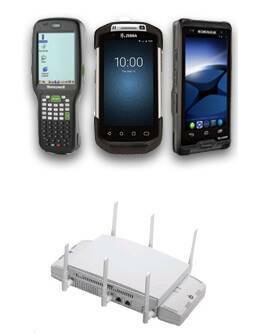 A wireless collection uses a wireless network and allows information to be collected and transferred to the database in real time. The advantages of wireless collection include an increase in production, obtaining real-time information and a better response time. At Logiscenter, we recommend that before purchasing or installing a WLAN network, you conduct a site survey. PDA-type terminals are ideal for field workers. These terminals have all the functional capabilities of a PDA but are more resistant. 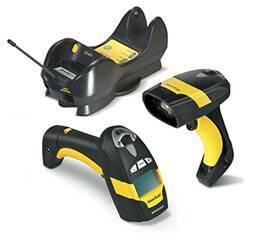 Several options such as GPS, touch screen or barcode reader (ideal for service, delivery, etc ...) are available. 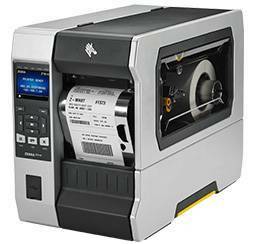 Leading manufacturers in this industry include Datalogic, HHP Honeywell, Intermec, LXE and Motorola-Symbol. On board terminals are extremely resistant because they are designed to be mounted on industrial vehicles such as forklifts, etc. In this category, the leading brands are LXE, Motorola-Symbol, Intermec and Datalogic. In addition to all of its functions, hands free terminals give the user complete mobility as the device can be attached to the wrist or worn on a belt. 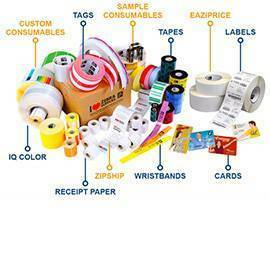 They are perfect for taking inventories and for use in packaging. LXE and Motorola-Symbol are two great pioneers in this sector. 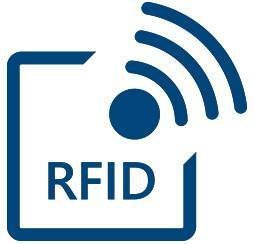 Off-line data collectors are smaller and typically have a less sophisticated operating system. Some of the most popular models in this line are Metrologic, Datalogic, Honeywell Motorola -Symbol or HHP. Los terminales Rugerizados –Industriales- son dispositivos extremadamente resistentes. Tienen un gran número de configuraciones de teclado y opciones para configurar sus teclas y hacer así su uso más fácil y adaptable a sus diferentes usos en diversas industrias. Los líderes del mercado son Datalogic, HHP Honeywell, Intermec, LXE y Motorola-Symbol. PC Tablets are devices halfway between a laptop and a PDA, which can be typed on by using a touch screen. The user can also use a stylus to operate the computer without a keyboard or mouse. They are highly resistant and are suitable for industrial environments. Terminals equipped with GPS are the most sophisticated devices in the gamut of portable terminals. These terminals are perfect for mobility both to determine and track your company's assets' precise location at all times. Leading the Motorola-Symbol, HHP-Honeywell and Intermec sector. Freezer Terminals are designed to withstand the harshest of conditions. Their IP security level is high and they are suitable for environments where the operator may spend a period of time in cold storage. There are 4 basic types of scanning engines to consider when choosing a laser reader terminal; laser, 1D linear imager, 2D imager and long range. Laser scanning engines: Use a laser beam as a light source and usually employs a rotating prism or mirror to scan the laser beam back and forth across the barcode. In the past, laser engines were considered faster than linear imagers and performed better in bright environments (i.e. scanning outdoors). 1D linear imager: Also called a CCD (Charge Coupled Device). This uses a series of hundreds of tiny light sensors lined up in a row in the reader's head. Instead of writing a single line like a laser scanner, linear imagers emit a larger rectangle that allows the user to determine the area being scanned. In some ways the linear imager is like taking a picture — it is not necessary to have a specific orientation to read the barcode. 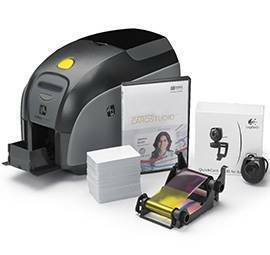 2D Imager: These function the same way as the 1D imagers, except that they are able to read 2D barcodes. 2D bar codes operate on two planes instead of one, so the 2D barcodes is able to hold more information. Long-range Scanners: Permit the user to scan bar codes from a large distance. Previously, long range scanners only worked when scanning from a distance, but with today's models the user has greater flexibility in scanning both near and far. Mobile terminals have similar operating systems to personal computers. While some terminals use a DOS OS, most terminals use common platforms like Windows Mobile 5.0 or Windows CE 5.0. Windows CE is a RTOS (Real Time Operating System) that can be used to build robots, industrial controllers, Internet, etc. Windows CE has a tool called the Platform Builder, that allows you to select the components that you want for your platform. Developers can modify the platform you create so that it's not a standard configuration, but one that fits your needs. Furthermore, Windows Mobile is a standard platform for PDAs and mobile devices. 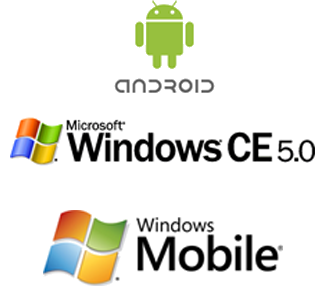 The Windows Mobile team have selected Windows CE components for the Windows Mobile platform and have created kits for retailers. The devices based on these kits are called Windows Mobile-based devices. Another feature often mentioned with regards to terminals is the IP Rating. The first digit indicates the level of protection against solid foreign objects. In the majority of cases, the first digit of the IP protection level of the terminals is a 5 or a 6. A grade of 5 indicates that the ingress of dust is not entirely prevented, but will not enter in sufficient quantity to interfere with the satisfactory operation of the equipment. A grade of 6 indicates that there is no ingress of dust; the unit is completely protected against contact with dust and particles. The second digit signals the protection of the against the harmful ingress of liquid. 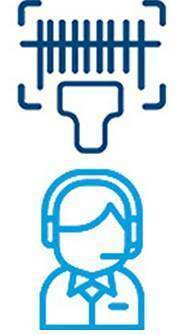 In the majority of cases, the second digit of the IP protection level of the terminals is a 4, 5 or a 6. A level of 4 designates that liquid splashes against the enclosure from any direction will have no harmful effect. A ranking of 5 indicates that water projected by a nozzle against enclosure from any direction, when the enclosure is tilted at any angle up to 15° from its normal position, will have no harmful effects on the mechanism. And, a rating of 6 means that water projected by powerful jets or waves from the ocean against the enclosure from any direction will have no harmful effects on the device.